cheese, just standard Finnish cheese. It was pretty deep, as I had a lot of dough, so I gave it some more olive oil, which it soaked up and made it pretty tasty. The whole thing was allowed to rise first and then the topping was added and baked in a glass over dish for 40 minutes or so on some pretty hot setting. 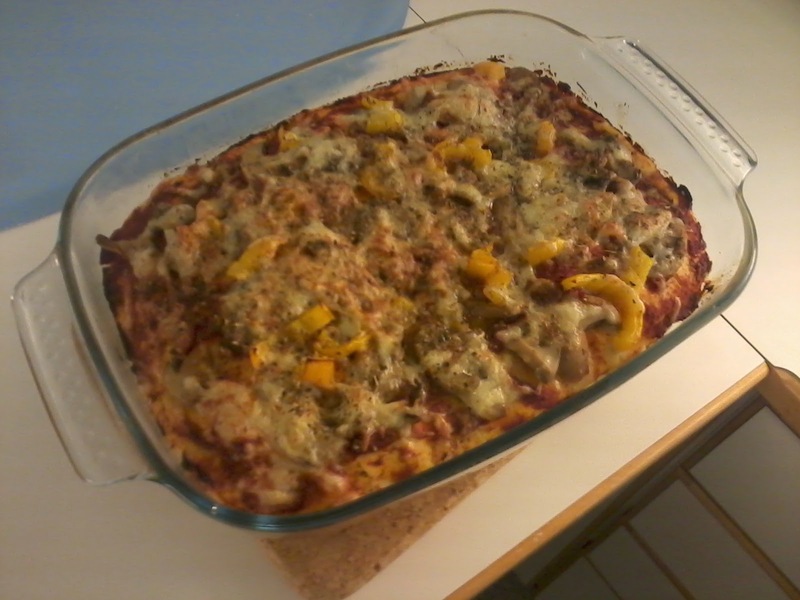 In any case, it turned out well and was very tasty!